This U.S. 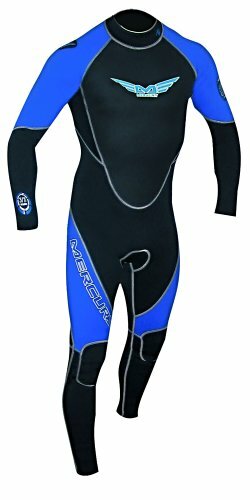 Divers' wetsuit--made of the highest-quality materials available--offers a superior combination of fit, performance, and style. 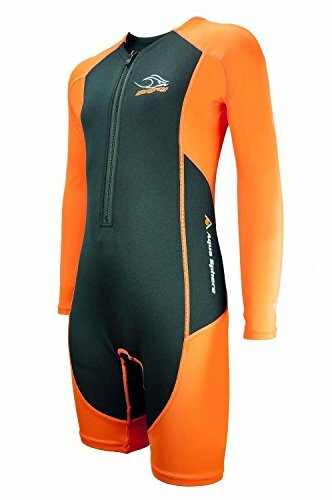 The full-size suit is distinguished by its titanium-blend 3 mm chest panels, which reflect heat back to the body to keep divers and surfers warm in frigid conditions, and the 2 mm side panels, which are pliable enough for upper-body twists. The suit also features a super-stretch panel under each arm for added flexibility. And thanks to the neoskin seals on the neck, legs, and wrists, the suit seals out water with aplomb. Other details include flat-lock stitching for extra comfort, a heavy-duty corrosion-free #10 YKK zipper on the back, a pull chord with a double-tap hook and loop tie down to keep the suit fully sealed, and anti-abrasion knee pads to minimize rubbing and scraping. 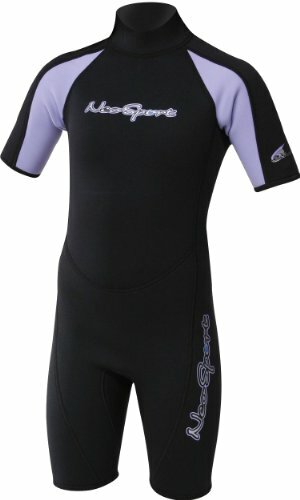 Available in a variety of sizes (see table), the wetsuit is backed by a two-year limited warranty.